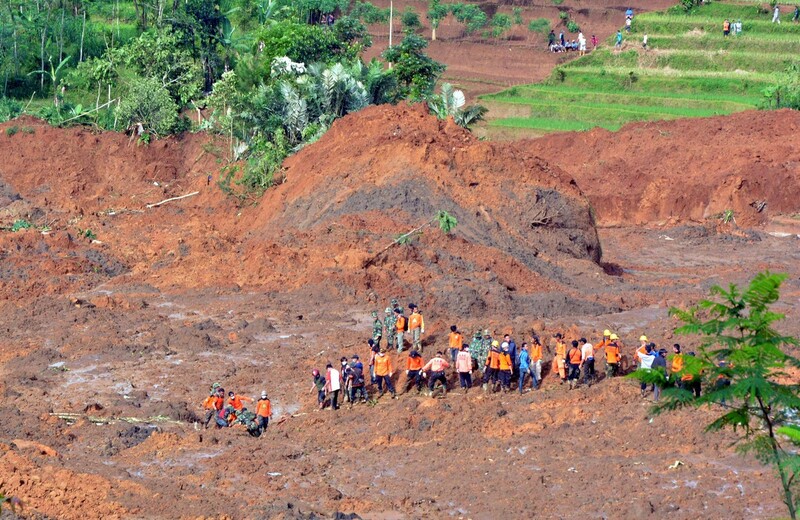 JAKARTA - A landslide destroyed a remote village in Indonesia, killing at least 17 people, an official said on Saturday, as rescuers used their bare hands to search through the mud for scores of missing. 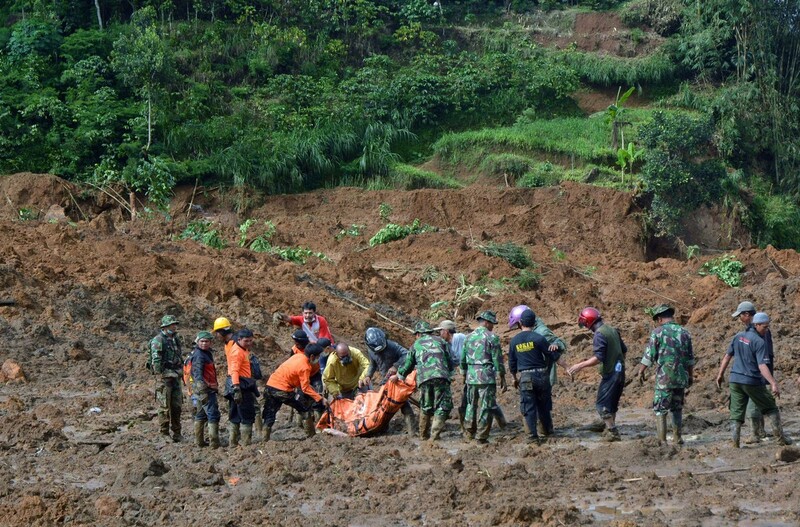 Hundreds have been evacuated from around Jemblung village in the Banjarnegara regency of central Java, about 450 km from the capital, Jakarta, where media pictures showed a flood of orange coloured mud and water cascading down a wooded mountainside. 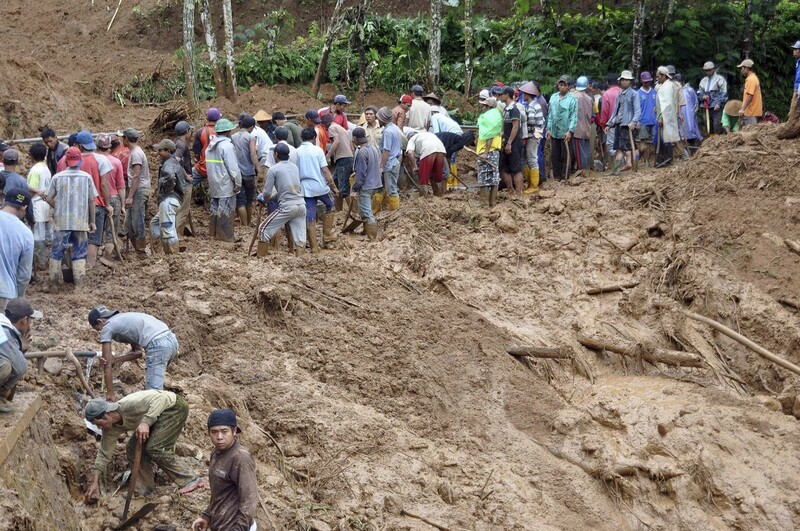 Mudslides are common in Indonesia during the monsoon season, which usually runs from October until April. Large swathes of forest land, power lines and houses were buried in the disaster which struck on Friday night. "There was a roaring sound like thunder," Imam, who lives in a neighbouring village, told television. "Then I saw trees were flying and then the landslides. People here also panicked and fled." 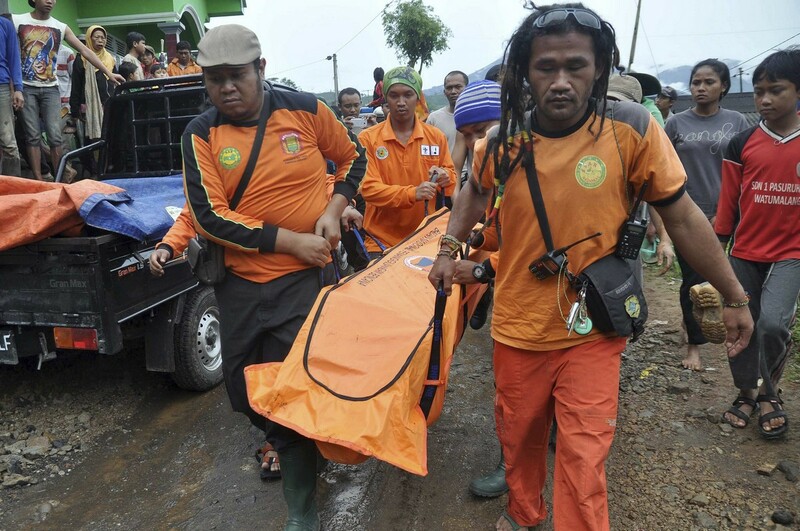 Sutopo Purwo Nugroho, spokesman for the National Disaster Mitigation Agency, said 17 people had been killed, 15 rescued, 91 were missing and 423 people from the surrounding areas had been taken to temporary shelters. 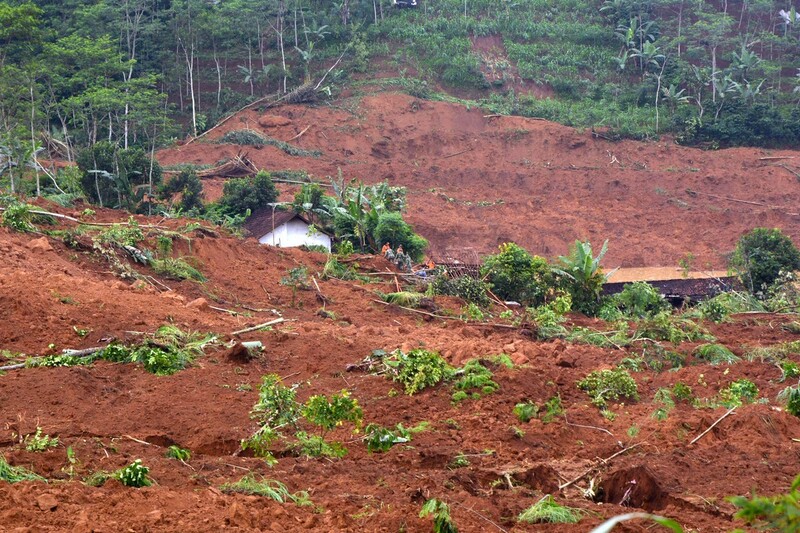 A landslide triggered by torrential downpours has killed at least 12 people and left nearly 100 others missing on Indonesia's main island of Java, an official said Saturday. "We found 12 bodies at the moment, and we are searching for 96 others," an officer at the emergency centre at the scene of the disaster told AFP, asking not to be identified. 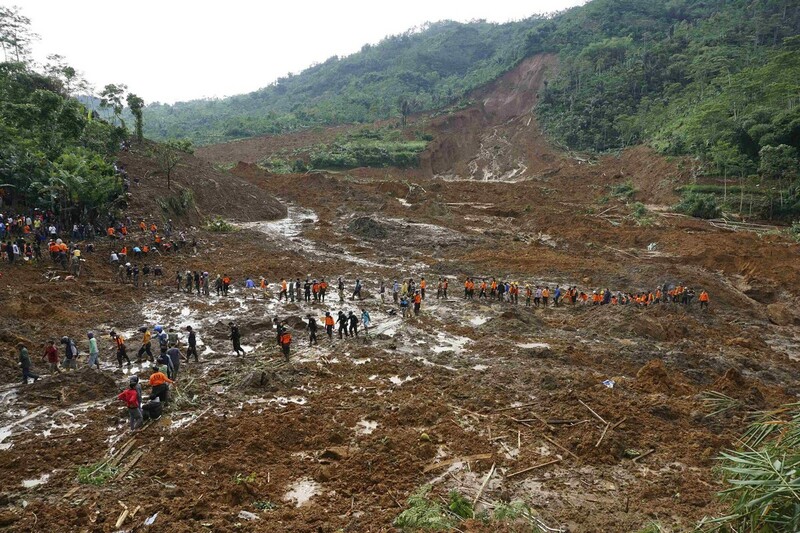 A rescue team of about 400 people, which included police, military and local volunteers, were using their bare hands and makeshift tools to search for people and clear the area but further rain and the threat of more landslides was making the task difficult. A second resident said there had been no warnings of the likelihood of a landslide. Jemblung had 46 houses before the disaster and a history of similar disasters, Nugroho told local television. Eleven of the 15 rescued were receiving hospital treatment, he said. A government agency official added that the rescue effort had been suspended as light faded and would resume on Sunday. Five of the dead were found in one car, television reported. 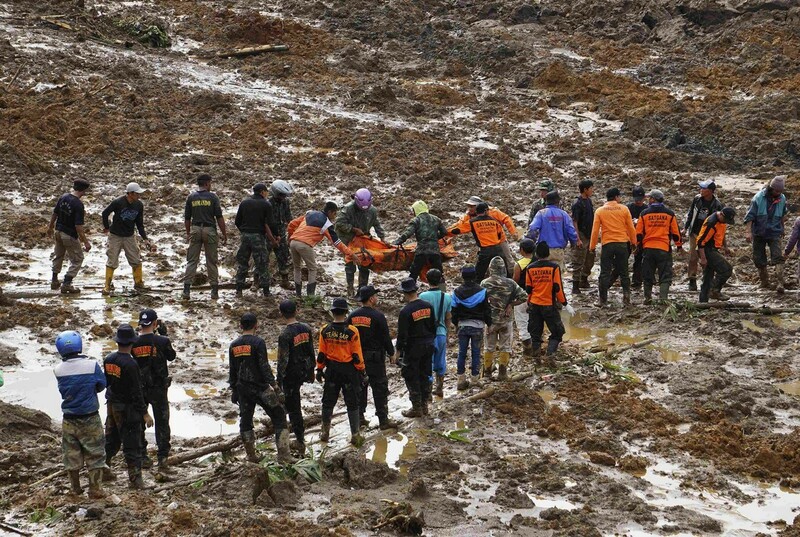 It showed rescuers using bamboo stretchers to carry bodies away. 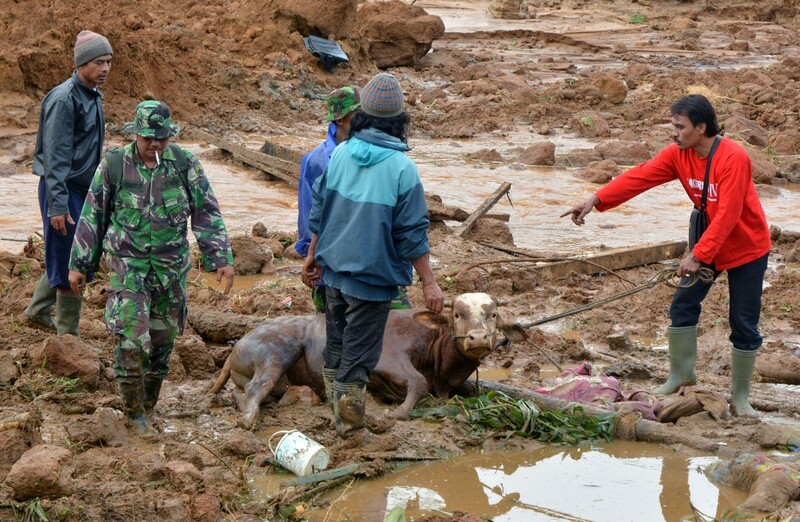 "Jemblung village was the most affected," Nugroho said. 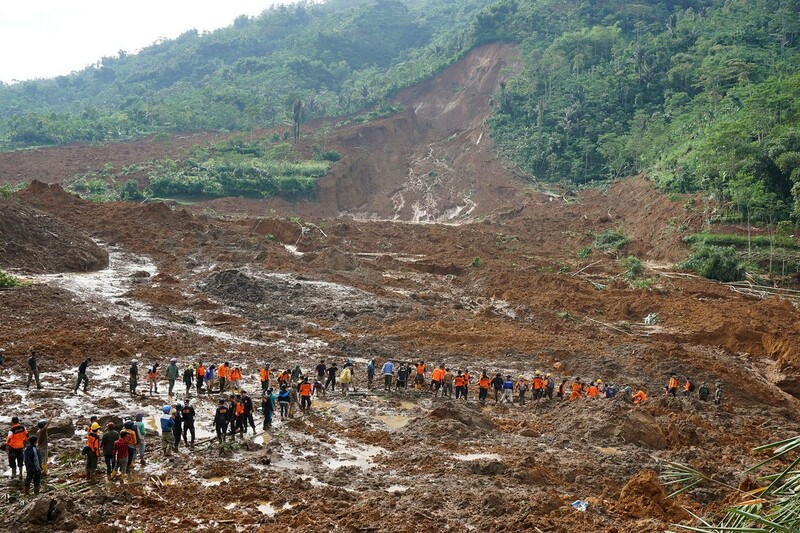 "The challenge is that the evacuation route is also damaged by the landslide." A rescue team of about 400 people, which included police, military and local volunteers, used their bare hands and makeshift tools to search for people and clear the area. 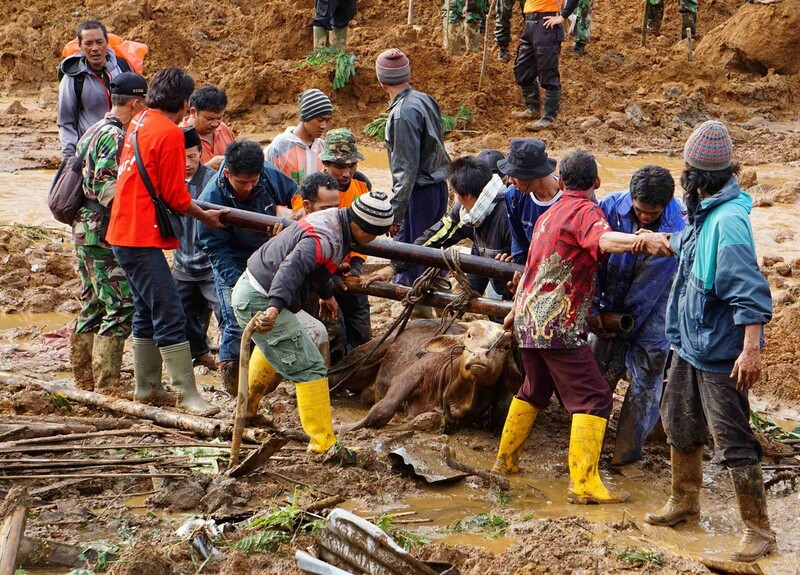 Hampering the rescue effort was a lack of a telephone signal and absence of heavy-lifting equipment, and crowds of nearby residents who had sought to watch, Nugroho added.